Given a relatively weak start, we thought that maybe, just maybe, we wouldn’t see a Call of Duty title on top of the UK retail charts over Christmas. But alas, it was not to be. 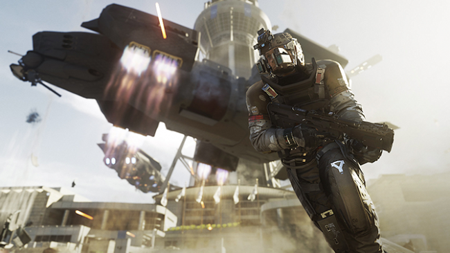 Call of Duty: Infinite Warfare has rallied over the last couple of weeks and in the end won this week’s charts comfortably ahead of FIFA 17. Another notable thing was that Grand Theft Auto V climbed back into the top 10. Since its release 170 weeks ago it has spent 130 weeks inside the top 10 on the UK retail charts. Simply incredible. Further down the chart promotions had a lot of impact as price cuts on Dishonored 2 (from 17 to 8), Mafia III (from 26 to 10) helped them climb. Dead Rising 4 and The Last Guardian subsequently tumbled down the list after strong starts and found themselves just inside the top 20. Pokémon Sun/Moon continues to sell well, but given that they’re counted as two separate games they both land just outside the top 10 (all format 13th and 15th). It’s hard to tell exactly where it would have landed if they had been counted together, but likely ahead of Final Fantasy XV and possibly, but perhaps not likely ahead of GTAV as well. This entry was posted on Monday, December 19th, 2016 at 12:50 pm and is filed under Gaming News. You can follow any responses to this entry through the RSS 2.0 feed. Both comments and pings are currently closed.